Scientists have found a way to preserve livers for a longer time before transplant. The investigators, from the Massachusetts General Hospital (MGH) Center for Engineering in Medicine, said that their technique permitted successful transplantation of rat livers after being preserved for up to four days. That is more than triple the length of time organs can currently be preserved. The discovery was published in the journal Nature Medicine. Organs deteriorate rapidly because they are cut off from oxygen and nutrients. Currently, donor organs are preserved at temperatures at or just above freezing. And while keeping the organ at below-freezing temperatures could extend its preservation, via slowing its metabolism, it also could damage the organ. To counteract that, the Massachsetts General researchers used two protective solutions – polyethylene glycol (PEG), which protects cell membranes, and a glucose derivative called 3-OMG, which is taken into liver cells. 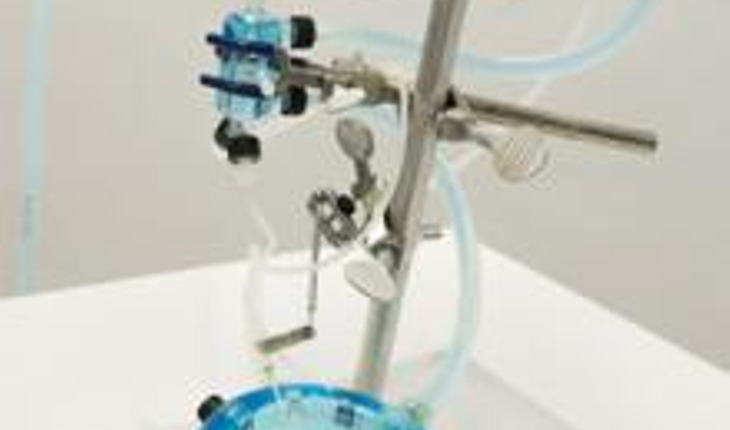 The scientists removed the liver from donor animals and attached the organs to a “machine perfusion system” – basically, an artificial body that supports basic organ function – and “loaded and flushed” the liver with the the two protective solutions. The organs were stored at 21 degrees Fahrenheit for either 72 or 96 hours, and then the temperature was gradually brought back to 40 degrees Fahrenheit. Ultimately, the livers were kept at room temperature for three hours before being transplanted into rats. All of the animals that received organs that were supercooled for 72 hours were healthy at the end of the three-month study follow-up period. Only 58 percent of animals receiving organs that were supercooled for 96 hours survived for three months. Further research needs to be done before the technique can be used on humans.